Select your trip below. If you don’t know where to start, generally a float trip or class III adventure series trips are great for first time rafters. For high adrenaline seekers with swimming ability, or groups with previous experience, an adrenaline series trip may suit you. A popular trip for explorers of all ages. 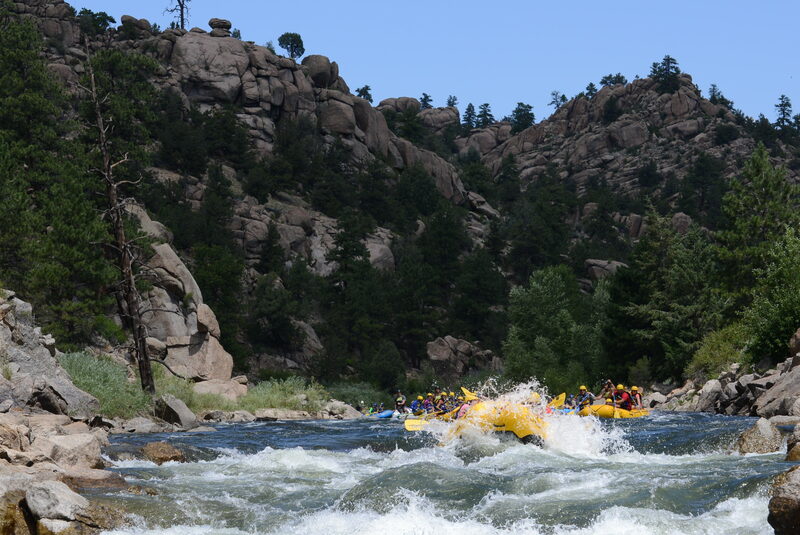 Discover Colorado’s beauty as you float through scenic canyons, play in swimming holes, and splash through waves. 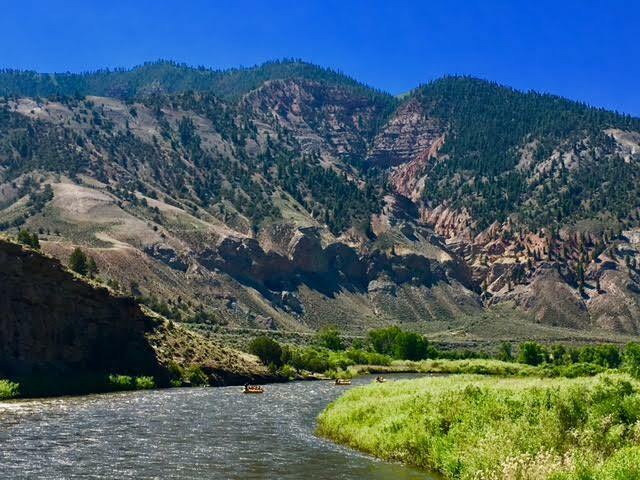 Drive to Sage’s Colorado River Outpost in Dotsero, and embark on river trip from th ere. You will check in, get some gear, and jump in a shuttle that takes you 6 miles up the river. You will then float back down to the outpost in Dotsero. CLASS I-II – A family friendly experience with small rapids, a few splashes and lots of opportunities to play in the River! The ideal trip for explorers of all ages. 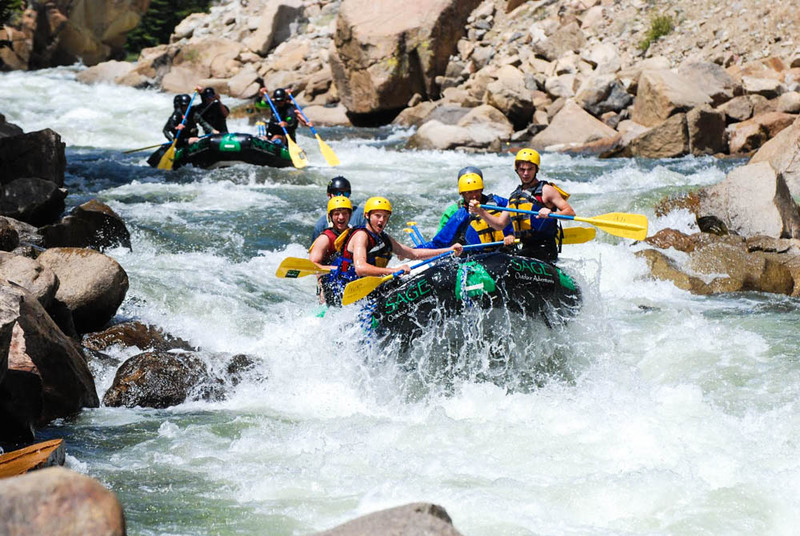 Discover Colorado’s beauty as you float through scenic canyons, play in swimming holes, and splash through waves. Popular trip for families with young kids. 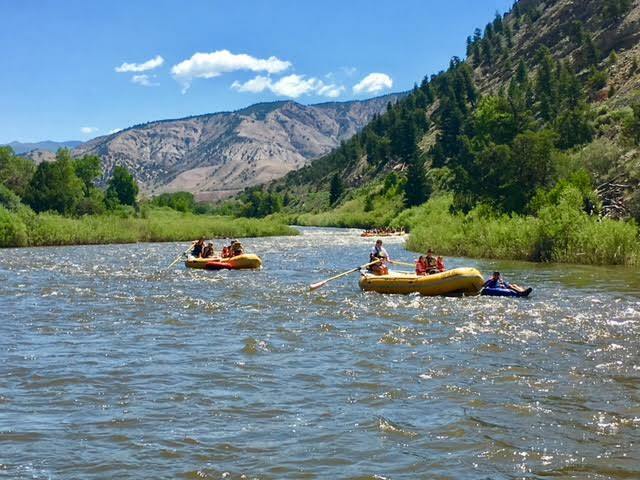 The 3/4 Day trip includes complimentary transportation from you hotel in the Vail or Beaver Creek area, and lunch at our riverside restaurant. Trip time is door to door time. Put in at Pumphouse access, then float through 2 jaw dropping remote canyons, with a couple class 3 rapids, including Eye of the Needle and Yarmony rapids. Lunch is served mid way through the adventure riverside. The wilderness feel and views on this stretch are the highlights. Everyone paddles while the guide calls commands from the back of the boat. 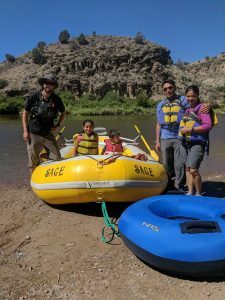 This is the perfect family stretch of the remote Colorado River! You tour starts when we pick you up in the Vail or Beaver Creek area. Your guides in the vehicle with you will give you a fact and fun filled 1 hour drive to Pumphouse, where you will get into river gear, and get on the water! Vail’s true local stretch of water. 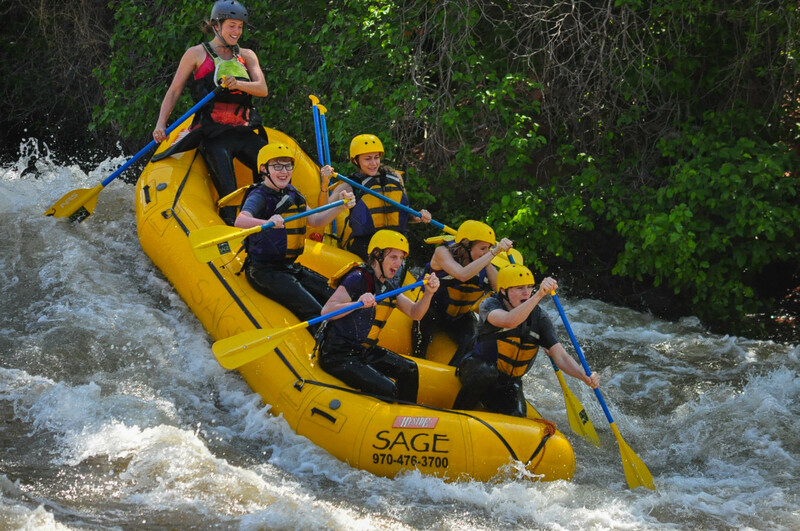 Raft through the heart of Vail Village! Surf waves and play holes are interspersed with fun rapids. Breathtaking scenery of the Gore Range, waterfalls cascading off enormous granite cliffs, surrounded by some of Colorados most spectacular Aspen tree groves. Enjoy Vail from a whole new perspective! 6 miles on the water. West Lionshead Plaza Bus Stop OR the Welcome Center on top of the Vail Village parking structure. 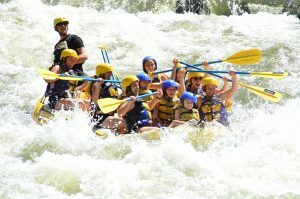 Our favorite rafting trip in the state while this section is flowing!! One of the few un-dammed rivers still left in the west. 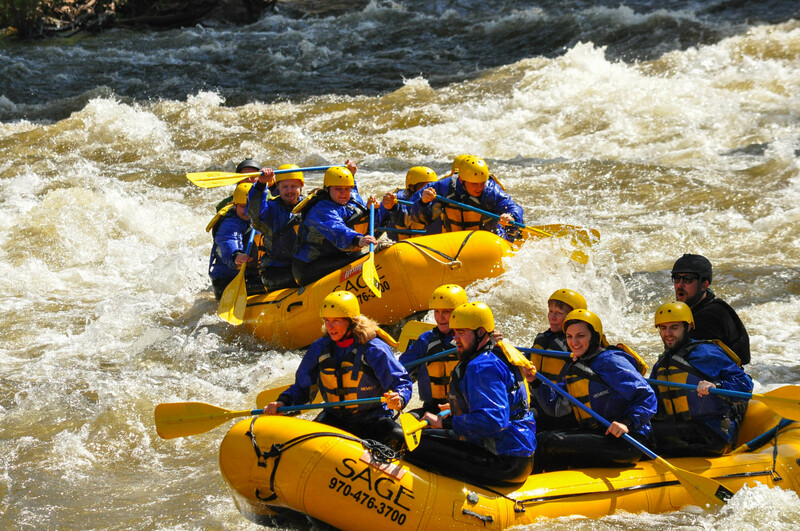 Fed purely on snowmelt from the rugged Gore mountain range, the Lower Eagle River flows through a 2000 foot tall canyon, has towering cottonwood trees that reach all the way over the river and touch at the tops, features big fun class III rapids throughout, and its only minutes from Vail and Beaver Creek. The sweet aroma of choke cherry bushes mixed with the pungent pine and willows are a special treat that ices the cake. This is the quintessential Colorado rafting trip. We pick you up in Vail or Beaver Creek, take you rafting, and return you to town on this trip. We will be going straight to the river, where there are restrooms, but no changing rooms, so wear your swimsuit under your clothing. 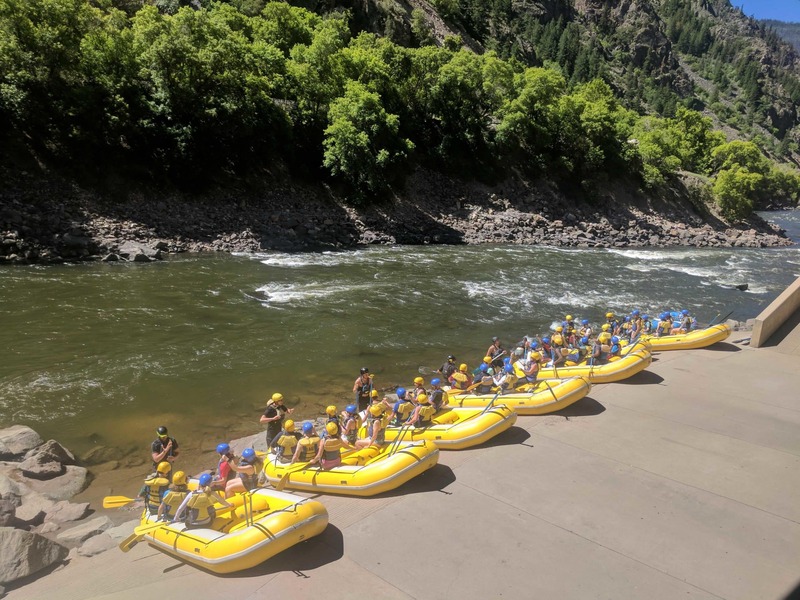 Smash through class III rapids deep in the crevice of world renowned Glenwood Canyon for the first section, and then float through a jaw dropping class II section into the heart of historic Glenwood Springs. This trip is ideal for families. If you have some youngsters below the age of 7, no problem! They can get shuttled around the first section of rapids and then join the trip at Grizzly Creek. Floating through this sacred canyon is not to be missed! Excitement, history, and geology around every bend. 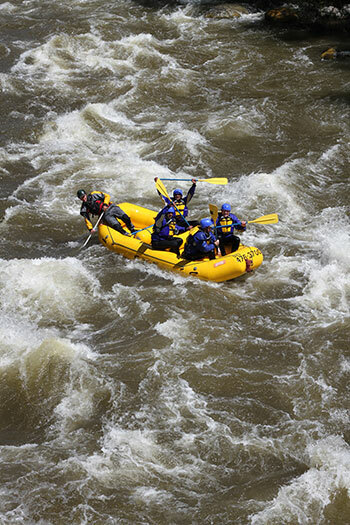 On this trip we will pick you up in the Vail and Beaver Creek area, take you rafting, and return you back to town. 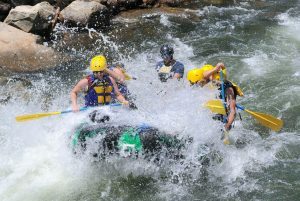 Expect about a 40 minute drive to the outpost where you will gear up for the rafting. Once off the water, expect about an hour drive to return to Vail/Beaver Creek. On half day trips all guests meet at the Colorado River Outpost in Dotsero. 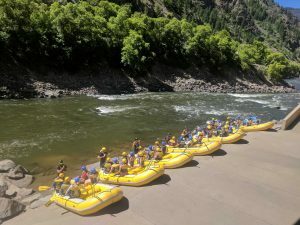 The Most famous Class lll whitewater in the western U.S. Paddle rapids like Zoom Flume, Pinball, Widow Maker, Toilet Bowl, Meat Grinder, and Raft Ripper while drifting through the jaw dropping Brown’s Canyon National Monument. This semi arid wilderness desert canyon. It is unique in all the world, a guaranteed highlight! Lunch is served on the riverbank mid float. 10 miles on the water. This is a full day activity, about 8 hours door to door. We pick you up in Vail or Beaver Creek on this trip. Transfer time to the Arkansas River Outpost is just over an hour, on a gorgeous route that takes you over the Continental Divide. At the outpost, you will get geared up for the river. After the river portion of the adventure, expect about a 2 hour drive back to the Vail and Beaver Creek area. Bigtime action on our local alpine river! You will be running Dowd Chute, the Upper Eagle section and the Middle Eagle Section on this trip, putting in at Minturn, taking out at Edwards. 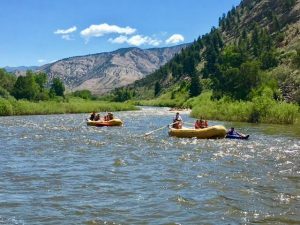 Paddle thundering rapids like Minturn S Turns, The Chute, River Run Rapid, Shop and Hop drop, Joe Dirt Drop, Owl Rapid, The Edwards Mile, and many more. The continuous nature of this class IV whitewater has your attention the whole time. Arguably some of the best whitewater in the state while in season. 13 miles on the water. Ability to swim, and fitness required. 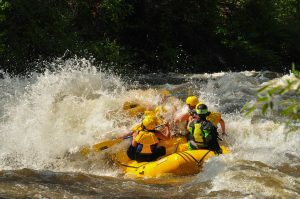 We pick you up in Vail or Beaver Creek, take you rafting, and return you to town on this trip. We will be going straight to the river where there are no restrooms or changing rooms. Wear your bathing suit under your regular clothing so you can change easily into wetsuits at the rivers edge. Experienced boaters’ favorite run! Famous Class lV rapids, very continuous whitewater with spectacular views of Colorados highest 14,000 ft. peaks, if you have time to look up! Crystal clear water with fast currents makes you feel as if you are flying over the river bottom. You want this trip to go on forever! 7 miles on the water. Ability to swim, and physical fitness required. This is a 3/4 day activity, about 6 hours door to door. We pick you up in Vail or Beaver Creek on this trip. 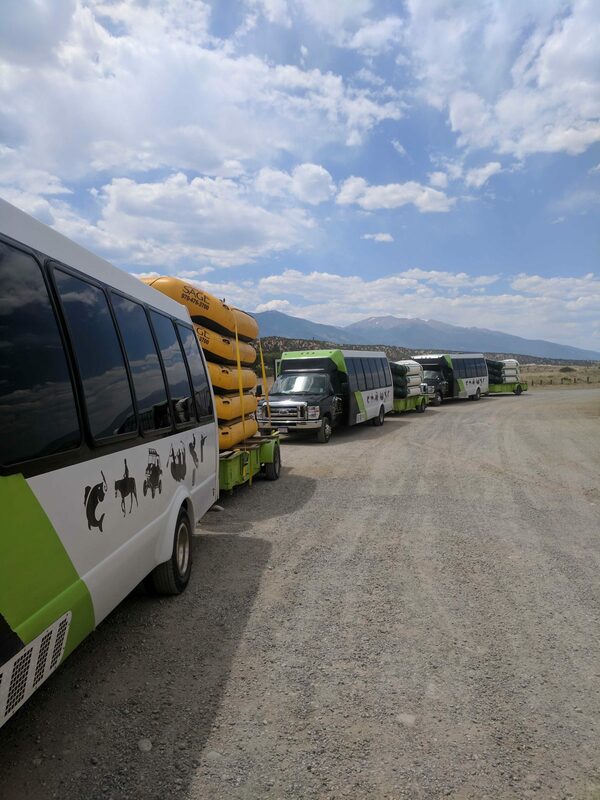 Transfer time to the Arkansas River Outpost is just over an hour, on a gorgeous route that takes you over the Continental Divide. At the outpost, you will get geared up for the river. After the river portion of the adventure, We will cook you a gourmet lunch at our riverside restaurant. After lunch we will drive you back to town. 3/4 DAY DURATION // 6 Hours, Gourmet Lunch at Sage Cafe included. Rip through the Granite Gorge ( class III/IV), Pine Creek (Class V), and finish the day off with the Numbers section (class IV). 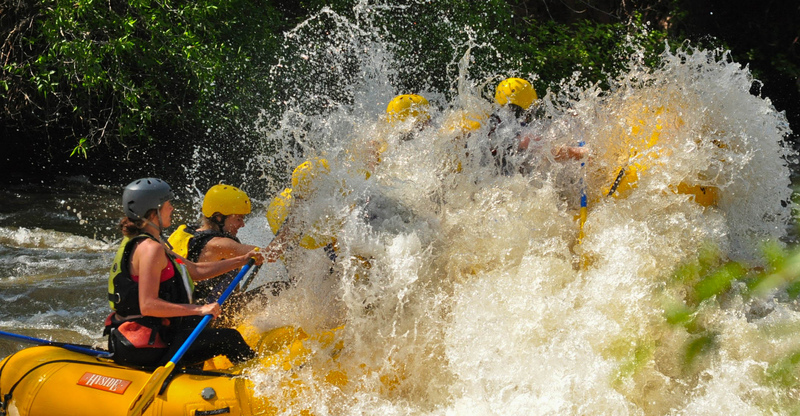 This is the ultimate in extreme whitewater. 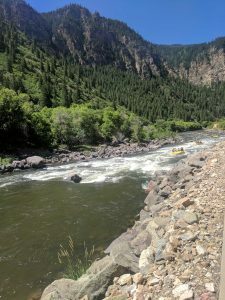 Pine Creek has some of the steepest commercially rafted waters in the U.S. Big and technical. 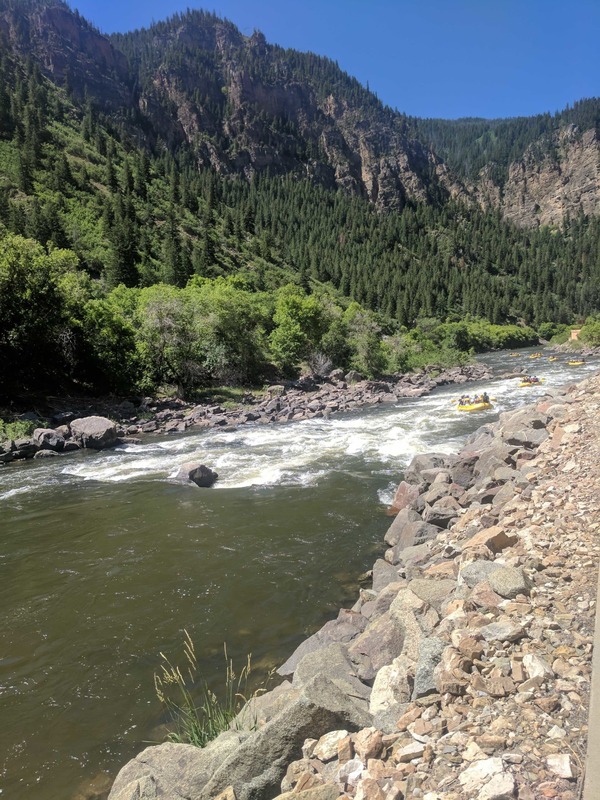 Guides will determine whether each group is capable of running Pine Creek Rapid itself, after a mandatory group “scouting” session from shore. Upon gear up you get a pre paddling snack, made fresh each day from our restaurant on site, and then after working up a large appetite throughout the 3 hours on the water, we’ll cook you a gourmet lunch from our riverside restaurant. 12 miles on the water. This is a 3/4 day activity, about 7 hours door to door. We pick you up in Vail or Beaver Creek on this trip. Transfer time to the Arkansas River Outpost is just over an hour, on a gorgeous route that takes you over the Continental Divide. At the outpost, you will get geared up for the river. After “rivering” and eating lunch we will drive you back to town. DURATION FULL DAY // 7 Hours, Gourmet Lunch at Sage Cafe included.